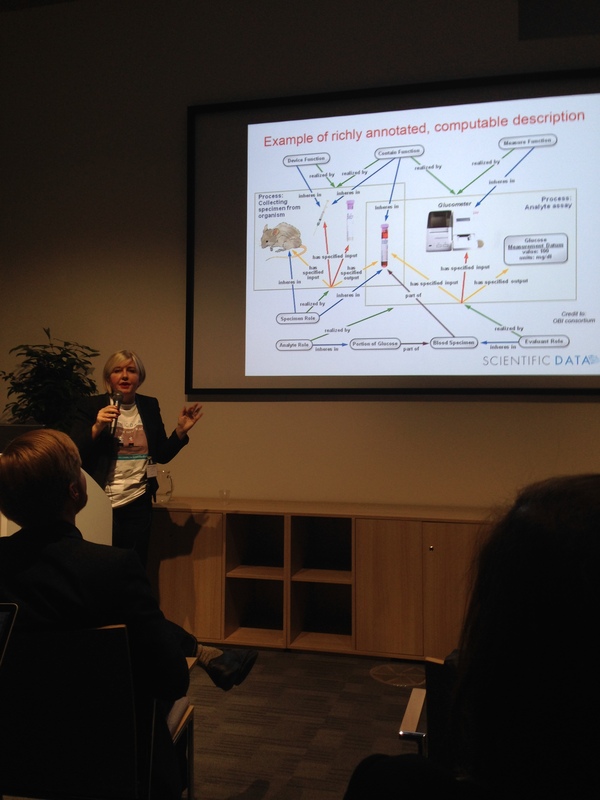 Last week I attended the conference “Better Science through better data” or #Scidata16 for short, organised by Nature’s journal Scientific Data and the Wellcome Collection. From its inception, the first Scidata conference back in 2014 wa s a highly enlightening event and so were the subsequent in 2015 and this year’s (2016). At the end of this post you will find a list of reports by other participants which give a very detailed account of the day, so I thought, instead of repeating the day in a linear fashion, to pick some questions from the audience and respond to those based on the proceedings. The organisers this year used sli.do to capture audience engagement and it was nice for me to experience it from the participant’s side rather than the instructor’s, and use it to quickly up-vote questions appearing from others, especially early career researchers. The honours of the first question comes from Twitter rather than sli.do and go to Ben Britton who is one of my academic colleagues. 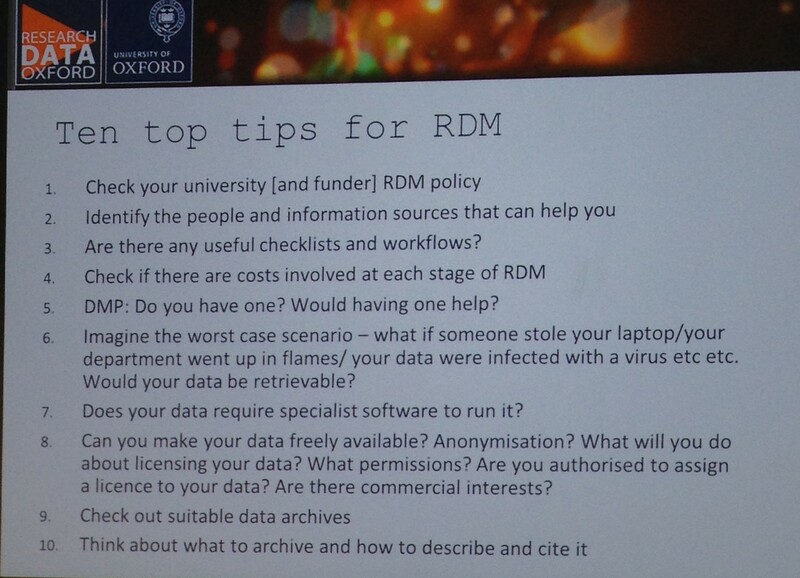 @EleniZazani How can we encourage better data management in our research groups? 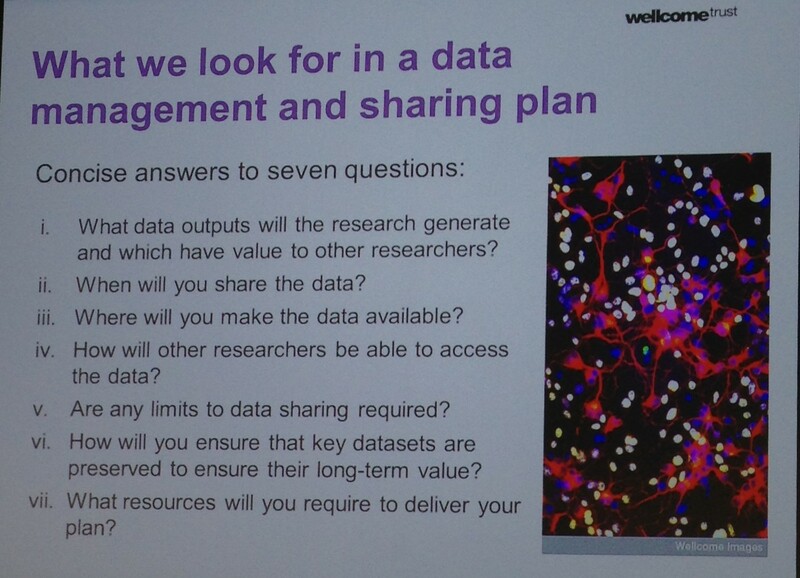 How can we encourage better data management in our research groups? 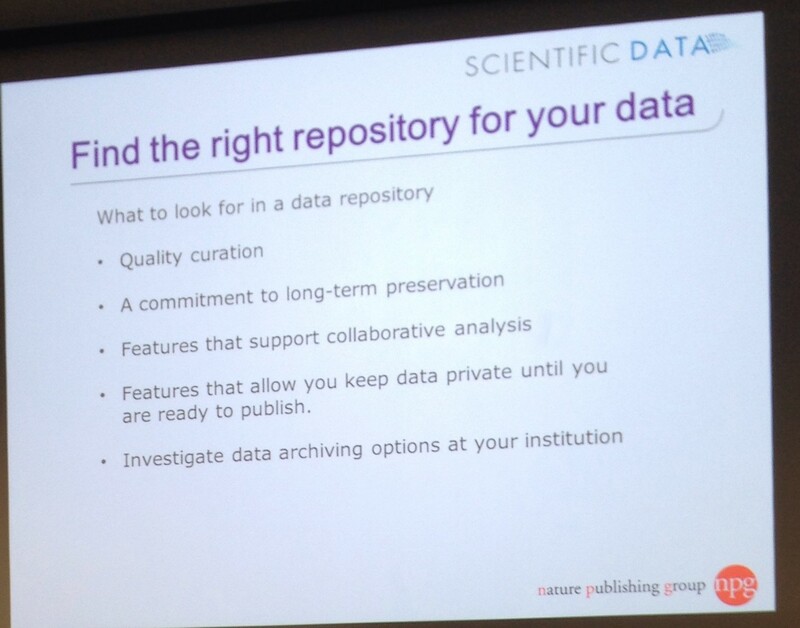 If we accept that one of the advantages of Data management is to make your data reproducible, then the keynote by Dr Florian Markowetz at the start of the day explored a set of motivations and reasons why every researcher should care for reproducible research. No matter how idealistic it is to believe that at the core of science there is the ability to reproduce experiments, and definitely the right and honourable thing to do and of course the world would be a better place if everyone did it, in reality the academic career is a very competitive and demanding path where a long CV and a list of publications matter a lot. Avoid Disaster (from a small to large-scale disasters good Data management practice saves you time in the long run whenever you need to return to your data for further analysis or revalidation of results – see for example a big career disaster which happened while transferring data across spreadsheets (Kolata, 2011), or not being able to validate your own results (Markowetz, 2015). Easier to write papers (good documentation of code and data enables us to look up numbers and transfer them in the manuscript, be confident that figures and tables are up-to-date and of course computational data handling results in automatic and flawless update when data change). Easier to talk to reviewers (This is especially important when you submit articles for peer review. The reviewers can go to your data, check your analysis and test for themselves any suggestion for improvement before returning to you with their feedback). Continuity of your work in the lab (People move their careers across Institutions/labs and good documentation can ensure the continuity of a research project especially a long-term one without needing to start all over again). Reputation (PhD students and Postdocs engaging with reproducible research and Data management have the opportunity to learn new tools and apply this knowledge in their daily routine. Automatically this contributes to a cutting-edge skillset and more and better career opportunities. The PIs -Principal Investigators- also create a culture of best practice and reproducibility in their own labs, resulting in better research and leading by example). Dr Jenny Molloy emphasised the benefits of being an open researcher drawing from her own experience as an early career researcher. career opportunities in Open Science projects. 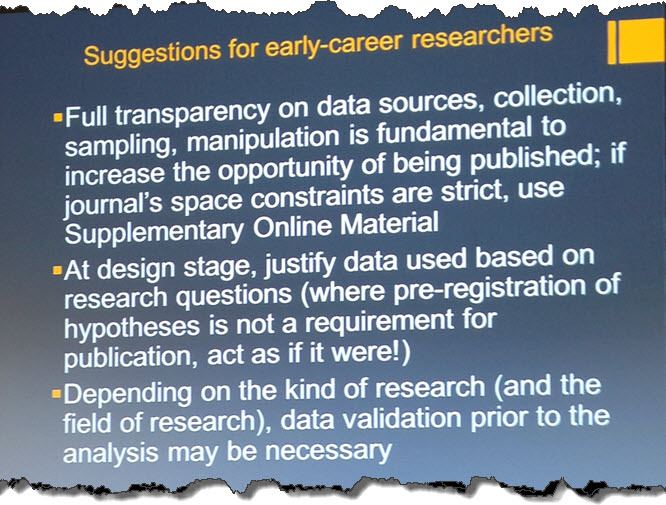 Dr Kevin Ashley reiterated some of the “selfish” reasons to engage with reproducible research adding the current funding mandates. With this in mind, not all data should be made open. There are always exceptions when data should be safeguarded, however a statement on how the underlying data can be accessed (a “data access statement”) is essential and required by funders. There were asked many great questions during the day. In subsequent posts I will try to address some of those drawing from the other talks on the day. Check back for more posts under the #scidata16 tag. Kolata, G. (2011) How bright promise in Cancer testing fell apart. The New York Times. Available from: http://www.nytimes.com/2011/07/08/health/research/08genes.html?_r=0 [Accessed: 1 November 2016]. Markowetz, F. (2015) Five selfish reasons to work reproducibly. Genome Biology. 16 (1), 274. Available from: doi:10.1186/s13059-015-0850-7 [Accessed: 10 November 2016]. DESIGNING EVIDENCE-BASED EDUCATION TECHNOLOGY: WHEN DOES RESEARCH EVIDENCE COUNT? If you haven’t seen this event announcement, you still have 22 hours to sign up to attend for FREE! The London Knowledge Lab team has brought together an excellent programme of researchers to discuss how we can build upon evidence derived from research in order to improve the quality of instruction. I will be attending the event and hopefully I will report my main takeaways via the blog here. 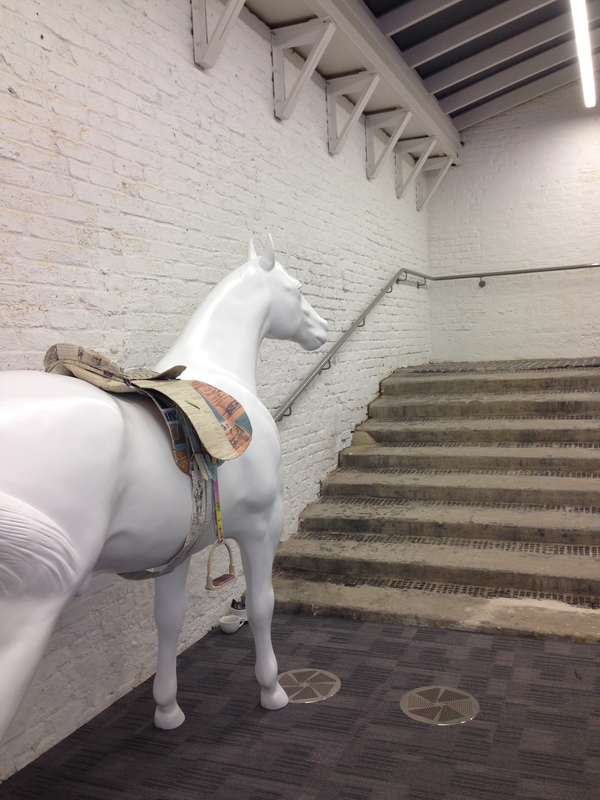 Read more at the London Knowledge Lab Innovations website and book your place at Eventbrite. Morris & Hiebert (2011). Creating Shared Instructional Products: An Alternative Approach to Improving Teaching. Educational researcher, 40(1), 5-14. On Monday 23rd of March I had a great opportunity to participate in a workshop, delivered by Donna Lanclos at the Imperial College Library, on Ethnographic Research Methods. Donna has a unique professional identity; she is an Anthropologist employed by an Academic Library, the J. Murrey Atkins Library, UNC Charlotte, and applies Anthropological Research in this context. There are too many takeaways from this workshop, the first one being that Librarians have a lot to learn from engaging with Research Methods in general and Ethnography in particular. The workshop started with disentangling the notions of Visitors and Residents developed by David White. Very often we think of a digital space in conjunction with our persona and the kind of identity we develop. There has been a lot of buzz in recent years around visitors, residents, natives, immigrants and so forth but this session came to clarify the original thinking behind these notions as a mode of behaviour, motivation and presence in a digital space. Visitors and Residents continuum (White & Le Cornu, 2011, p.7) Image is linked to the original. So being in a Visitor mode means that we interact in a digital space without leaving a trace by means of contributing. For instance, we have a Twitter account but we use it as a news-stream or observe what others are doing without posting anything. At the other end of the spectrum we operate as Residents when we contribute and have an active presence in a digital space. Talking about digital engagement in an abstract way does not create a massive impact or any major reflective thinking. What happens though if we visualise this engagement? 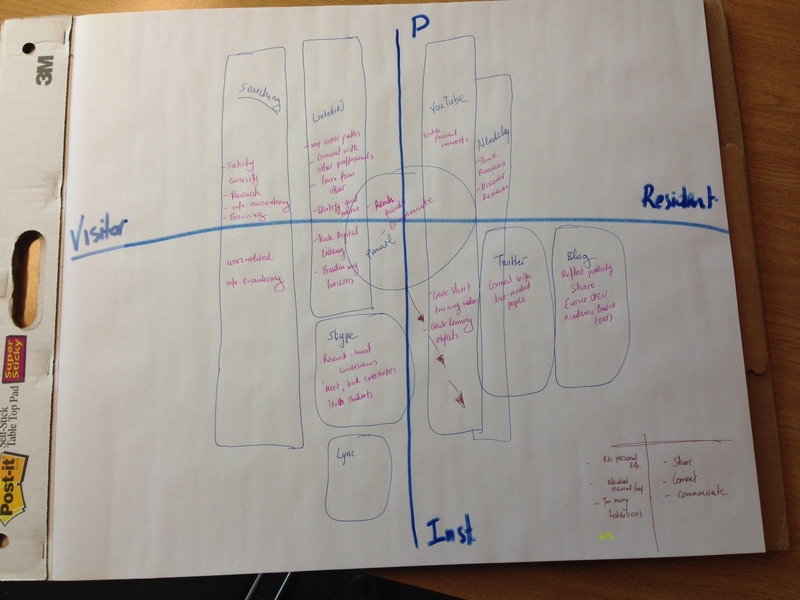 I was amazed by the diversity of visualisations and the subsequent interpretations within our group. 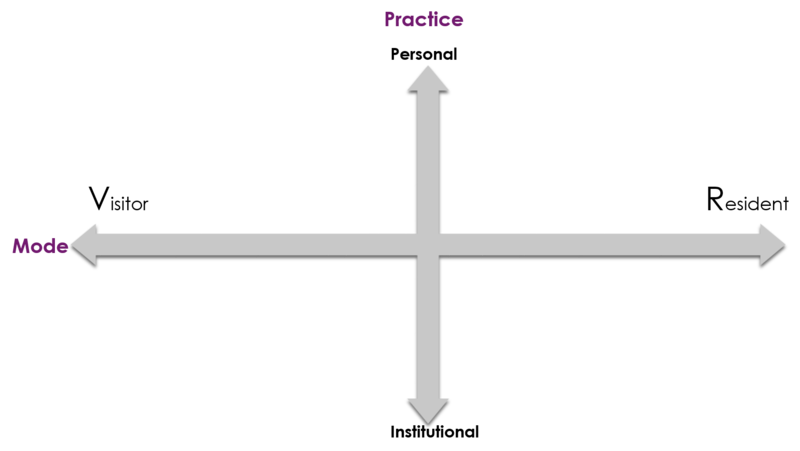 I found the mapping an important reflective activity for our engagement with the web and our motivations, allowing us the time to think if we are happy as is or whether we would like to change something. Looking at my map I realised that it is very difficult for me to map my engagement within its constraints and differentiate between the Institutional and the personal. When leading an academic life within a “support” role, what is Institutional and what is personal? For one with a portfolio career, which/who is the Institution? How can the perception of our identity be compartmentalised into defined boxes? When does the mode become identity? In my map, I also found a recurring theme; my motivation is always about sharing and connecting. Where are the people in the space? How are people moving through the space? What tools people are using and where are these used? Where are people interacting and what are they doing? While wondering who the lucky colleagues assigned to the Library Café having a chance to smell the brewing coffee are, my colleague and I climbed up the silent study area. Donna allowed us 15 minutes for observing and some time for transferring our notes from the map to a full narrative. Our notes exceeded our expectations. Despite the silence there was a wealth of things to observe and record. Without immersing ourselves in our own interpretations we could see the stress of students while approaching the exams period. The desks were full of energy boosting products such as caffeine, vitamins, lots of water and fruit. There are many more digital places I use but didn’t include in my map. Many of us more or less noticed this pattern. It seems that places we use yet didn’t map have completely been embedded in our practice as if they are invisible. Despite our assumption that students replace paper with tablets or digital paper applications, those in the silent study overwhelmingly used a lot of paper-based notes and printed books. The devices were present but not dominant. Recording our notes from a 15-minute observation took much longer than the observation itself. If you want to engage in this type of research method be prepared to allow more time than what you may have anticipated. Furniture sets expectations of space usage. Some students had “claimed” a study space by leaving their belongings unattended. What can “claimed spaces” tell us? Donna suggested that when decisions are made, as a response to these observations, it is important for everyone involved to have institutional support in case of failure in the interpretation. Iteration is very important in Ethnography. Observation is only one of the instruments; others can be interviews, cognitive mapping, photo-diaries etc. White, D., Connaway, L.S., Lanclos, D., Hood, E.M., et al. (2014) Evaluating digital services: a Visitors and Residents approach. [Online]. 2014. JIsc InfoNet. Available from: http://www.jiscinfonet.ac.uk/infokits/evaluating-services/ [Accessed: 27 March 2015]. White, D.S. & Le Cornu, A. (2011) Visitors and Residents: A new typology for online engagement. First Monday; Volume 16, Number 9 – 5 September 2011. [Online] Available from: http://firstmonday.org/ojs/index.php/fm/article/view/3171/3049. I am looking forward to attending this event and reporting back via the blog later! The British Library Labs have organised a one-day forum that will focus on text and data mining. It will bring together experts developing tools and services with those who might want to use these techniques in their research. This event is an important opportunity to influence the approach that the British Library uses to support text and data mining in the coming years. By the end of the day, BL Labs hope to have a better understanding of: what everyone’s needs are, what the Library could be doing to support text and data mining, what accommodations tools need to make for non-experts, what basic skills and tools are necessary, and how to use these techniques in research. I am really excited to have been invited today in the London Knowledge Lab to be part of the discussion of what the research says about the Potential and Impact of TEL on Teaching and Learning. The presentations will be concurrently delivered to the audience present at the Lab and to those who will join the event online. Associated literature: the ALT-C findings and Incoming expectations of the digital environment formed at school. The summer time is the ideal period for all Academic Librarians to recharge their batteries in anticipation of the new term. My recharging time includes a lot of pausing to reflect on my annual professional praxis and set new personal and professional goals for the year to come. Unlike the end of the calendar year, the academic year is complete mid-summer, a time for me to take stock and create resolutions. This academic year has been very busy and I barely managed to blog about everything that happened. Two of my posts were about my involvement in CoPILOT and our collaboration with the OU OER Research Hub (OERRHUB). 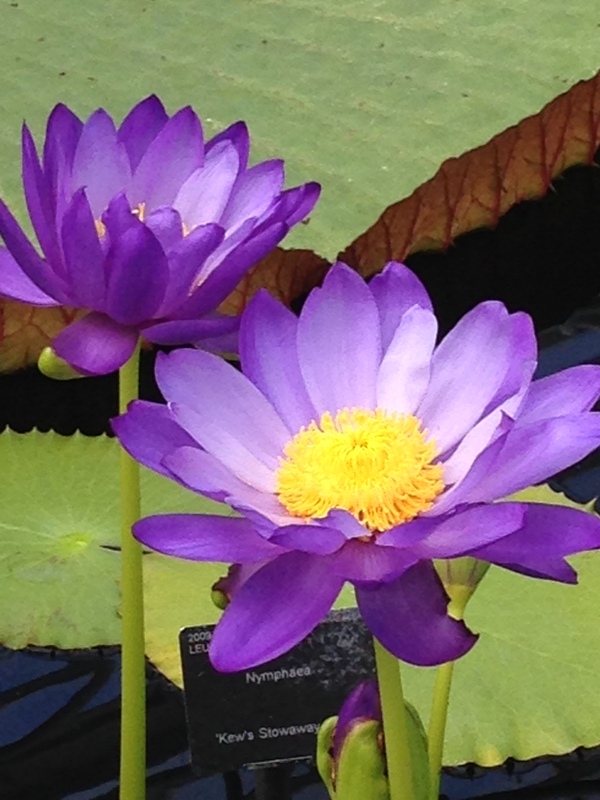 In this post, I revisit this piece of research and reflect upon it. CoPILOT stands for Community of Practice for Information Literacy Online Teaching and is a collaborative effort to disseminate information among librarians, fill in training needs with regards to OER and influence Open Educational Practice (OEP). CoPILOT was the outcome of a research project and therefore any further research activities are part of the community’s DNA. This year we had the opportunity to collaborate with the researchers for the Open University Research Hub and further explore Librarians’ attitudes towards OER. Most importantly, we had the opportunity to investigate to what extent OER adoption attitudes have changed since Bueno-de-la-Fuente’s, Robertson’s & Boon’s report, (2012); De Beer’s (2012) SCORE findings; Graham’s and Secker’s report (2012), along with Harris’s (2012) and Taylor & Francis’s most recent findings (2013). In preparation of the questionnaires, we reviewed all the known surveys that targeted Librarians’ use of OER but also we broadened our review to other reports that referred to Librarians’ role in openness in general. We believe that our roles are evolving as a result of open initiatives undertaken by our Institutions and therefore OER cannot be seen in isolation. These reports, along with our personal interactions with colleagues, enriched our perspective and informed the formation of the questionnaires to fit a global community of Librarians. Problem solving: While the literature review can be seen as a lonely process and due to my research interest it preceded the survey, the formation of questions was a collaborative bouncing of ideas that could start as a thinking-loudly reflective monologue evolving to a dialogic inquiry between representatives of CoPILOT and the OERRHUB researchers. That was a very productive collaborative practice giving us a taste of working remotely but effectively as a team and liaising back with our extended communities. The surveys attracted a global pool of respondents with a decent number of Librarians offering their contact details to participate in further research. Back in February, I blogged about the preliminary results after Beck Pitt who leads the research project, posted a detailed account of the first findings. What key findings have come from evaluation activities undertaken by this piece of research? The results concur with earlier surveys mentioned above and in the literature review. While it is good that the previous surveys have been supported by the findings of this research, it might also require some further analysis to investigate if more conclusions can be drawn from the research. The quality of OERs seems to be questioned; perhaps, this is a reason why their use is not always so widespread. Also finding where OERs are still seems to be an issue and certainly ties with CoPILOT’s main objectives in providing training for librarians in those aspects. One of the questions that come to mind is whether a more widespread creation of OERs would improve their quality. While less than 15% of respondents had replied to say they had created and published resources under a CC licence it seems that the demand outstrips the supply. What opportunities and barriers currently exist that the project could help with? Perhaps an opportunity exists to explore the reasons why so few respondents have produced OERs. It would be beneficial to know what holds librarians back from producing Open Educational Resources so that we could inform our training and workshop activities. Graham, N. et al., 2014. From local to global: sharing good practice in information literacy. In LILAC 2014. Sheffield: Sheffield Hallam University, 23rd-25th April 2014. Available at: http://www.slideshare.net/infolit_group/grahamseckerflynnburke [Accessed August 18, 2014]. Pitt, R., Graham, N. & Zazani, E., 2014. Spreading the Word! Librarians and Open Educational Resources. 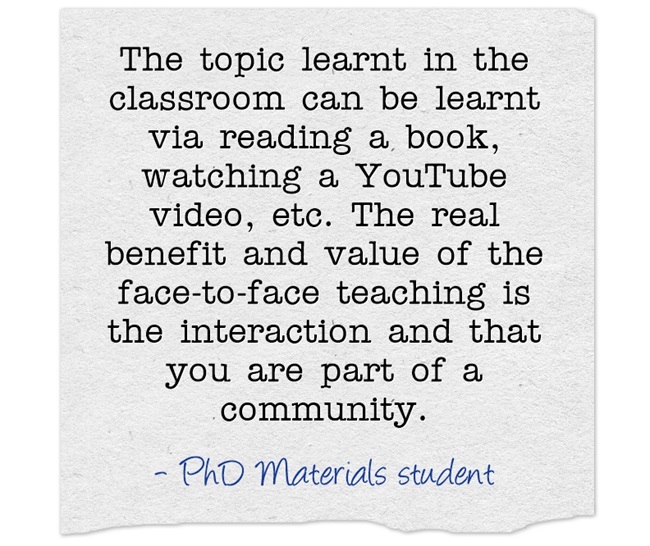 In OER14: building communities of open practice. Newcastle, 28-29 April 2014. Available at: http://www.medev.ac.uk/oer14/45/view/ [Accessed March 6, 2014]. Secker, J. & Graham, N., 2014. From local to global: open and sustainable ways to share our teaching resources. In Library Instruction West 2014. Portland Oregon: Portland State University Library, 23-25 July. Available at: http://www.slideshare.net/seckerj/from-local-to-global-sharing-information-literacy-as-open-education [Accessed August 18, 2014]. Sieber, V. & Secker, J., 2014. CoPILOT: Supporting teaching with open educational resources (OER). 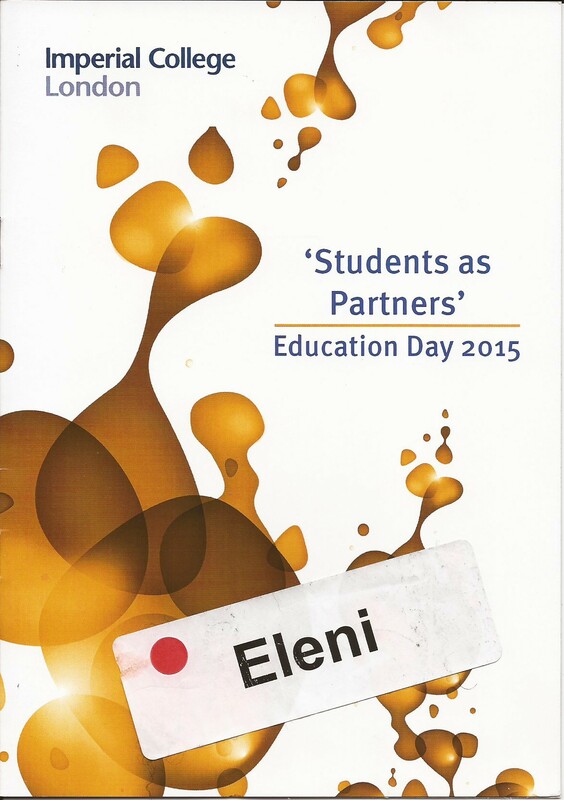 In Higher Education Academy Annual Conference 2014. Birmingham: Aston University. The International Council for Open and Distance Education (ICDE) published a digest of useful reports about MOOCs and online learning three days ago (25 June). In this post, I look at these reports closely, to identify whether Library services and librarians’ involvement were included and to also take the opportunity to add two more recent reports to the ICDE’s list. If you manage to read up to the end of this post you will find some of my concluding thoughts and a call for adding your views. TechNavio, 2014. Global Massive Open Online Courses Market 2014-2018. Infiniti Research Limited. Available at: http://www.technavio.com/report/global-massive-open-online-courses-market-2014-2018 [Accessed July 27, 2014]. This report is the most recently published report (July 07 2014) covering a global forecast about the growth of MOOCs. The 56-pages report envisages that MOOCs will see a compound annual growth rate (CAGR) of 56.61 percent between 2013-2018. Unfortunately, I cannot have access to the report due to its cost – being $2,500, for personal use – and therefore I can’t say with certainty whether TechNavio’s analysts considered the impact and challenges for academic libraries in their respective section. It’s worth having a look at the table of contents and the snippets they reveal, such as the fact that learning analytics and management of big data are a major trend. As it was published in the press release “Big data tools and analytics are increasingly contributing to the increasing popularity of MOOCs. Universities are turning to MOOC providers for large student data analyses. Examination outcomes and assignment grading are made easy with MOOCs because of the online nature, which is otherwise a slow and tedious procedure with traditional data gathering techniques. The records are easily managed with big data tools, giving educators the advantage of real-time data management” (Sandler Research, 2014, para. 2). Gordon, L., Peters, M.A. & Besley, T., 2014. The Development of Massive Open Online Courses (MOOCs) in New Zealand, Hamilton, NZ. Available at: https://akoaotearoa.ac.nz/development-of-moocs [Accessed July 26, 2014]. The report aims to provide a baseline account (pp. 1, 5) and raise awareness of MOOC-related developments in New Zealand to a mix of educational stakeholders. Although I found the report highly enlightening, the only reference to libraries was made during a discussion with the study’s participants (from which this report arose) on whether a New Zealand MOOC platform should be created, where the National Library Te Papa would be one of the partners, imitating the FutureLearn model. Hollands, F.M. & Tirthali, D., 2014. 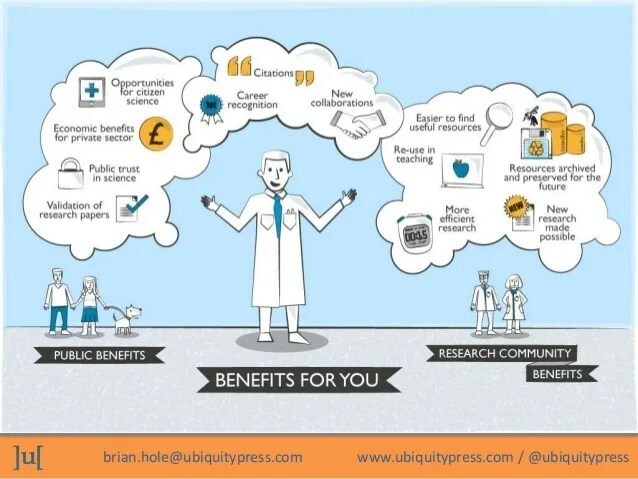 MOOCs: expectations and reality, Available at: http://cbcse.org/wordpress/wp-content/uploads/2014/05/MOOCs_Expectations_and_Reality.pdf [Accessed July 12, 2014]. Hersh pointed out that it would be prohibitively expensive to provide student services including academic counselling, library services, tutoring, and proctoring to thousands of MOOC participants (2014, p. 61). Kelly, A.P., 2014. Disruptor, Distracter, or What? : A policymaker’s guide to massive open online courses (MOOCs), Available at: http://bellwethereducation.org/sites/default/files/BW_MOOC_Final.pdf [Accessed July 26, 2014]. Gaebel, M., 2014. MOOCs: Massive Open Online Courses. European University Association Occasional Paper An update on developments in first paper published January 2013, Available at: http://www.eua.be/Libraries/Publication/MOOCs_Update_January_2014.sflb.ashx [Accessed July 26, 2014]. No mention of any library-related issues except for a brief reference to the British Library as part of the UK FutureLearn partnership. Grainger, B., 2013. Introduction to MOOCs: Avalanche, Illusion or Augmentation?, Moscow. Available at: http://iite.unesco.org/publications/3214722/ [Accessed July 26, 2014]. This policy brief does not mention any library-related implication. Van der Vaart, L., 2013. e-InfraNet: “Open” as the default modus operandi for research and higher education M. van Berchum et al., eds., Netherlands: e-InfraNet. Available at: http://e-infranet.eu/output/e-infranet-open-as-the-default-modus-operandi-for-research-and-higher-education [Accessed September 4, 2013]. This paper takes a broader view of openness and discusses some of the institutional implications potentially affecting Libraries as well. 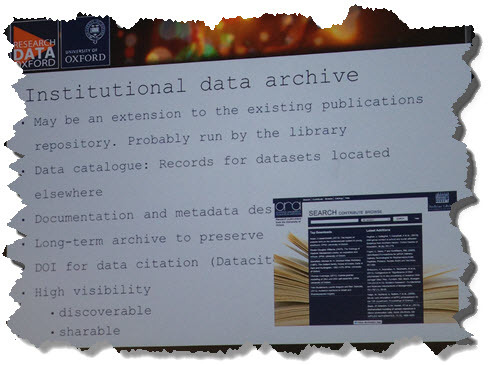 For instance, it refers to the preservation of digital assets using as an example the library-led open source LOCKSS system and the importance of up-skilling librarians to be able to proactively assist researchers with OA topics and in managing Research Data. Association of Governing Boards of Universities and Colleges, 2013. 2013 Survey on Technology and Instruction: Taking the Board to School on Educational Technology, Washington, D.C. Available at: http://agb.org/reports/2013/2013-survey-technology-and-instruction-taking-board-school-educational-technology [Accessed July 26, 2014]. This survey does not touch upon any library-related implications. Mor, Y. & Koskinen, T. eds., 2013. MOOCs and Beyond: eLearning Papers 33.European Commission, p. 7. Available at: http://elearningeuropa.info/en/news/moocs-and-beyond-elearning-papers-33-released [Accessed August 27, 2013]. This issue is dedicated to MOOC case studies including ten papers. Visibility of Librarians is found in the issue’s last article where the authors McCallum, Thomas & Libarkin suggest that Librarians (among other specialties) need to be part of multidisciplinary teams. Taking as example the delivery of the FoS (Foundations of Science) MOOC in the University of Michigan, the librarians were part of the interdisciplinary teams. Yuan, L. & Powell, S., 2013. MOOCs and disruptive innovation: Implications for higher education. eLearning Papers, 33. Available at: http://www.openeducationeuropa.eu/en/article/MOOCs-and-disruptive-innovation%3A-Implications-for-higher-education [Accessed July 26, 2014]. The ICDE showcases only this article from the eLearning Papers as part of the ten recommended MOOC reports mentioned directly above it. While it is not clear why this particular article is more significant than the remaining nine, it doesn’t bring any special focus to librarians and any potential disruption to Libraries. Voss, B.D., 2013. Massive Open Online Courses (MOOCs): A Primer for University and College Board Members, Washington, D.C. Available at: http://agb.org/reports/2013/massive-open-online-courses-moocs-primer-university-and-college-board-members [Accessed July 26, 2014]. It makes two references; the first compares the participating mode in MOOCs as opposed to “older forms of online learning” (2013, p. 4) (synchronous vs. asynchronous delivery and participation where learners used to listen to the lectures using Library facilities) and the second refers to the Institutional readiness mentioning essential Library services such as “resource discovery, copyright clearance” (2013, p. 19). Interestingly, the reports that broadly discuss openness acknowledge the Librarians ’emerging role, while in the MOOC-related reports the visibility of Librarians is sparse. I noticed a similar pattern during my research, while comparing the growing number of Higher Education Institutions offering MOOCs in contrast to the low volume of articles being published by Librarians discussing their contributions in MOOC planning and delivery. The New Zealand report discussed above raises an interesting point regarding how much Institutions are willing to reveal about their MOOC-related plans. In particular Gordon, Peters and Besley noticed the paradox between the notion of openness and the fact that “some organisations were keen to control the message about MOOCs in their organisations” (2014, p. 6). It is not clear whether Academic Librarians are bound by a similar code-of-silence-principle as an extension of their Institutional culture or their involvement is not considered significant to be mentioned. The literature available along with empirical evidence does not necessarily support the latter argument. Librarians do play important role in online delivery of courses and certainly have a strong interest in how MOOCs are affecting their current workloads and roles. I would be very interested to hear any views in these thoughts that perhaps can shed some light to the lack of discourse involving the Academic Library in the majority of the reports. You can either comment below the post or contribute your view anonymously in the box below. McCallum, C.M., Thomas, S. & Libarkin, J., 2013. The AlphaMOOC: Building a Massive Open Online Course One Graduate Student at a Time. eLearning Papers, 33. Available at: http://www.openeducationeuropa.eu/en/article/The-AlphaMOOC:-Building-a-Massive-Open-Online-Course-One-Graduate-Student-at-a-Time?paper=124335 [Accessed July 26, 2014]. Sandler Research, 2014. Global Massive Open Online Courses Market 2014-2018. SandlerResearch.org. Available at: http://www.sandlerresearch.org/global-massive-open-online-courses-market-2014-2018.html [Accessed July 28, 2014]. The International Council for Open and Distance Education (ICDE), 2014. Ten useful reports on MOOCs and online education. ICDE. Available at: http://www.webcitation.org/6RM0YPkiL [Accessed July 26, 2014]. Around late October 2013, I had posted an invitation to participate in a survey circulated by the OER Research Hub (OERRH) in collaboration with the Community of Practice for Information Literacy Online Teaching (CoPILOT). The OERRH researcher Beck Pitt started reporting on preliminary results from both questionnaires that targeted Librarians’ views, challenges and practices on creating and using OER, on licensing-related issues, and whether they measure the impact of those efforts. To what extend are librarians making a decision in distributing to students compulsory/optional OER material? Beck will report on more granular and comparative results in spring 2014. Until then have a look in her detailed preliminary results in her blog, feel free to comment below the post and stay tuned with the OER14 conference where these results will be the focus of our paper.